THE BEST OF THE BEST IN HARBORSIDE! A rare opportunity to own the best Cornelius location, end unit, panoramic waterfront views with a 2 car attached garage & Boat slip! Open floor plan with soaring ceilings, first floor master, & large paver patio where ducks walk right up to join you. Upstairs features a spacious loft area and 3 bedrooms and two full baths. Stroll on the waterfront boardwalk or to the nearby Port City Club. 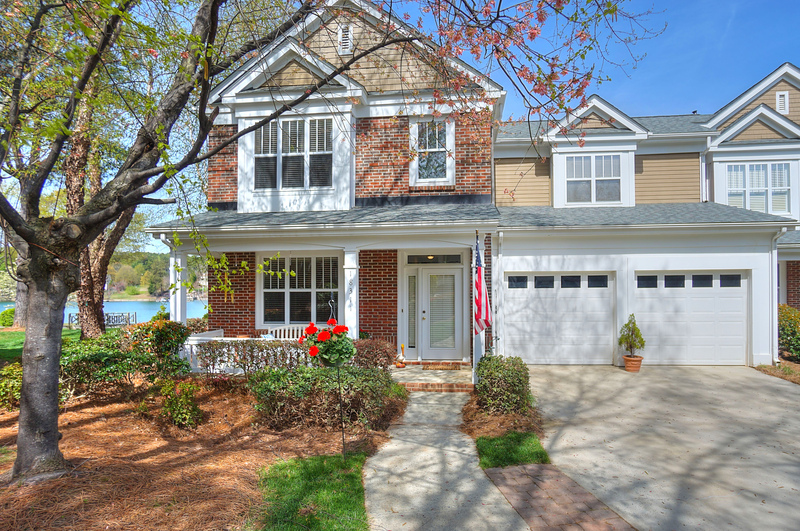 Convenient to everything; restaurants, shopping, Birkdale Village, and Charlotte. HURRY DON’T MISS THIS OPPORTUNITY! Additional Required Harborside Marina HOA is $242 semi-annually for Boat Slip. Deeded Boat Slip is located in Harborside Marina #29. HOA is managed by CSI Property Mgmt 704-892-1660. One of the sellers is a licensed real estate agent.